While the title says it all (that is unless you want to overpay for junk diamonds), lets look into WHY you should avoid KAY Jewelers, as well as other big mall jewelry chains. I personally went to KAY in Natick Mall ( Natick, MA) and looked at their engagement diamond rings, wrote down the specs, and examined the rings under 10x magnification of a microscope (not a loope). What I discovered in my research is that KAY overcharges anywhere from $270 to $3236 for their diamond rings, with an average difference being $1300 (compared to real RETAIL value of those rings / diamonds)! 1) I only looked at solitaire rings with a single center diamond. I did this to rule out any small diamonds found in fancier rings, which are included in TOTAL CARAT WEIGHT, so that I could compare a KAY diamond directly with the Rapaport Diamond Price list. 2) I compared prices only for CERTIFIED diamonds, sold by KAY. 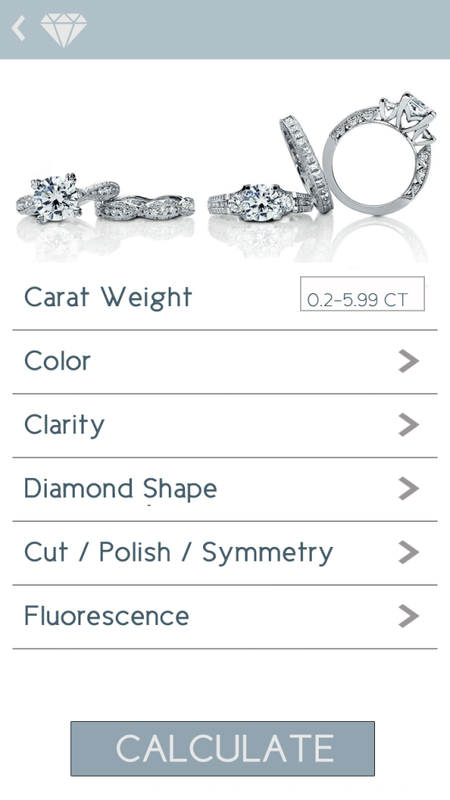 I wrote down ALL the specs, including: Carat Weight, Clarity, Color and Cut. 3) Because KAY does not sell loose diamonds, I also priced a typical 4 or 6 prong solitaire setting (ring) made out of 14K white gold. These rings range between $350 and $500. I will use the high end pricing ($500), which I will subtract from the total cost of a KAY ring, to get the approximate cost of the diamond. 4) All diamonds at KAY (those that I saw on display) carry a GSI (GEMEX) certification. I will compare this to a de-facto standard in the jewelry world – GIA certification, which is considered by far the best and most accurate representation of real diamond quality. It is my opinion, that values presented by GSI should be discounted by at least one grading point on both COLOR and CLARITY. However, for comparison, I will use the face value of each, and will run them through a RAPAPORT diamond price list. KAY’s prices below include the setting. As mentioned above, I will add $500 for the setting, to the RAP Sheet price. Additionally, all KAY prices are AFTER sale discount. Specs: 0.70 CT, F Color, I1 Clarity, Good Cut. Conclusion: KAY loses by ONLY $270. Not so bad. But, not so fast! Let’s move on – it only gets better. Specs: 1.01 CT, G color, SI2 clarity, Very Good cut. Conclusion: KAY loses by $1236. Percentage wise, this is a “better” deal than the 3/4 CT ring. However, you would still be overpaying by 1,200 bucks. Moreover, after carefully examining the stone under a microscope, I found that it had a LOT of inclusions. Much more than a GIA SI2 stone would have. To me, it looks more like an I1 stone, which would drop the price by (WAIT WHAAAT???) $2000. As mentioned before, the GSI certification of KAY diamonds, should really be considered at least one grade below its nominal (face) value for BOTH color and clarity. That is correct. A difference between an SI2 and I1 clarity stones for 1 CT, would be 2K! And we don’t even discount the color. This means that you would be overpaying $3236 if you bought this ring at KAY vs a reputable Independent Jewelry Store. Specs: 0.71 CT, I, SI2, Good Cut. Conclusion: KAY loses by $1798. This stone is (specs wise) identical to Tolkowsky, but it is a completely different cut, with additional facets put in, for better sparkle and shine. I’m not a gemology expert, so I will leave it to the KAY sales person: “Tolkowsky diamonds are much better than Leo”. Still, you are overpaying about 60% for this ring. Specs: 1.00 CT, H color, SI2 clarity, good cut. Conclusion: KAY loses by $-1.00 – that is correct. We might have a winner here, as on this stone, you actually save a whole 1 dollar if you buy from KAY. But wait – order in the next 24 hours … just kidding. Lets look into this deeper. If we consider that this is NOT an H / SI2 stone, but rather an I / I1, which it most likely is (if it was graded by GIA), this stone drops in price from $6000 to $3700, which is a $2300 difference. Also, the GOOD cut, should add another 5-10% discount vs. VERY GOOD cut. So there you have it. If you buy a generic ring with 3/4 CT, you “only” overpay by $270. However, after analysing these rings, I concluded that on these 5 stones you overpay by $1200-$3236. Of course you can go for a smaller 1/2 CT ring and then you would overpay by about $500, but percentage wise, it is still huge. Besides, who’s got $500 to waste? Also, the KAY’s business model of selling you grossly “overvalued” diamonds at a premium, is just unethical! However there is nothing illegal in doing this, as there are no laws guiding the process of diamond appraising and certification. Bottom line – if you don’t want to waste you money, shop at a large local Diamond / Jewelry store. There you will still pay retail or close to retail, but you will get a MUCH better stone, you will see a variety of diamonds and settings, and as our survey of 5 large to medium size stores shows, most will sell at Rapaport Price. PS. While doing this research, I realized that big mall brands are very successful at marketing themselves as rock-bottom retailers for diamond jewelry and convince many folks that they have the best prices. Next stop for us is Zales! Also we will soon publish a Diamond Buying Guide, which will help you understand how to buy a diamond / ring, and how to bargain with jewelry stores. Use our Diamond Calculator to estimate TRUE value of the diamond. You can even do it on your iPhone / Android. Coming soon: We are now in the process of making a Diamond Calculator mobile app for iPhone and Android. It is almost complete, so stay tuned. SINCE YOU STATE NOT TO BUY DIAMONDS IN THE MALL; WHERE IS THE BEST PLACES TO BUY DIAMONDS ? I’ve worked for chain guild stores as well as an independent. Where to buy a diamond, well, if you spend 30 plus years in the business, get your GIA and join polygon, buy direct. If not, find a retailer who will pay order a stone on memo, pay cash and 30%, over cost. Keep in mind that only ideal cut stones trade close to rapp. If your jeweler does not offer a lifetime warranty, buy the mounting from one that does. On a another topic, platinum is trading below gold, buy platinum. Lol this is so wrong. Of course there is a mark up on diamonds, seeing as how I sell them. But there is so much more that goes into choosing a diamond other than price. At certain jewelers, there are other perks that you receive. Lifetime warranties, free cleaning and sizing, and lifetime metal work coverage. As far as the diamond themselves go, the amount of work that is put into choosing, cutting, and certifying a diamond does cost more than just a loose stone. Kay Jewelers and Zales BOTH sell loose stones. They are not kept in the store for insurance purposes, but can be ordered into view them at no cost. I second Ally. I’ve been a jeweler for 10 yrs. it is my passion and hobby. Mark up is based on the market, supply, and demand. 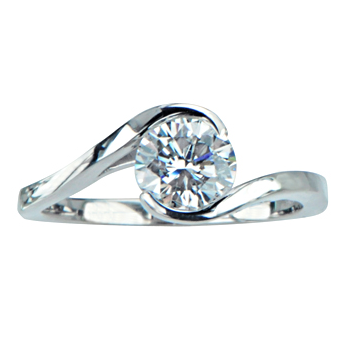 When you purchase from Kay’s or Jared’s you are not only paying for the jewelry itself. You purchase is guaranteed when you buy from a big chain retailer. I am not going to knock, if you choose to purchase your own loose stones and design your piece(s) yourself. There is no guarantee or maintaince plan. (Unless you are a jeweler yourself) I have spent a lot of time sending out, replacing, and educating customers on why it is a wise decision to have a secure guaranteed purchase. Jewelery is like vehicles. It wears and tears as well. A maintenance plan is optional but highly recommended. Next time you feel the need to bash publicly, make sure you do your homework thoroughly. All of those maintenance plans you two are talking about cost additional in my experience. I haven’t bought a ton of jewelry in my life, but on all of the items I have purchased, they have required an additional fee (usually a sliding scale based on value) for maintenance and guarantee. Tolkowski diamonds only have ideal cut. Never very good… One can fond very nice non certified diamonds that do not carry the cert price.